There’s no doubt to say that life has become much more comfortable from the begging of the internet invention. Communication to Shopping, Internet has been playing a significant role in public daily life activities by its usage in every spare of public life. As the internet is being used to every spare of life, Billions of data/information are transferring from here to there because of community engagement. Everyone has the rights to keep their data private. The Internet has made vast storage of information’s, and it makes our information private and secure. But some questions come in mind that how many of our data are encrypted properly? Is my data is kept anonymous? or What is the security that Nobody will ever have access to my data? Answers of these questions make you surprised that still, we lack proper technology to keep our data anonymous, there’s still requiring data security, and you will be amazed that only a few communities on the internet are having data encryption facility, though there are still some vulnerability and lack of trust. When the whole world is thinking for a safe place on the internet with a high level of security for their privacy, at that time Securypto with the aim to make a much safer place by monetizing anonymous content distribution with high protection for your data and privacy. • What is the Securypto Project? • Why is the Securypto using Blockchain technology? • Why should you choose the Securypto? • How does the Paid Content-Management Feature Work? What is the Securypto Project? Securypto dreams to build a much safer place on the Internet with high security for user data and information. It will make the internet secure by providing anonymous content distribution. Securypto will be using the blockchain technology to keep their system more transparent, reliable and trusted. Securypto will be a Zerocoin and Masternode based blockchain project that will be able to provide anonymous storage as well as will be able to transfer encrypted data. Users of Securypto will be able to monetize the anonymous content distribution feature over the internet which will create scope for new emerging market. On the other hand, User of Securypto doesn’t need to worry about their data encryption. They will be able to Transfer untraceable encrypted messages & files across the internet without thinking a bit. Also, Securypto will be adding an extra security layer linking to open source hardware wallet for their user. Securypto will be providing these anonymous, secure and transparent feature with their dedicated hardware, software and Blockchain technology. To provide strong security and higher privacy level, Securypto has designated a dedicated open source hardware for the tasks. The dedicated hardware device combines to a visual verifiable communication technique that makes remote exploiting of vulnerabilities impossible. The dedicated hardware is called DSG (DigiSafeGuard) in Securypto which acts a hardware wallet for storing and spending your digital assets. Use of DSG offers anonymous messaging through any unsecured channel. Combination always works better than any single things. Securypto cares about the security and privacy of its users. That’s why it has designated a user-friendly software which can use in most popular operating systems like Android, iOS, Linux, Windows. Combination of hardware and software will work mutually to each -others functions, and it will provide the highest security level in Securypto. 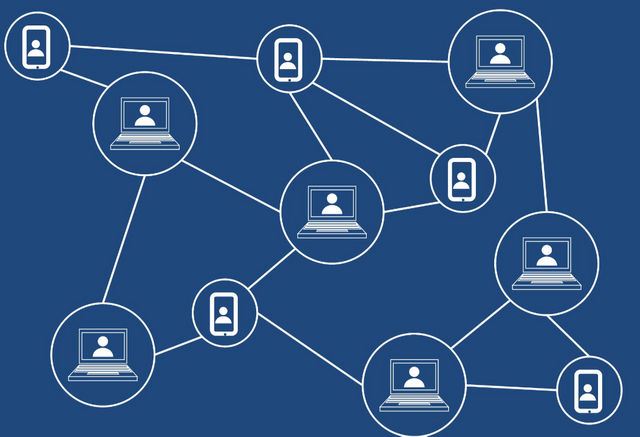 For some last few years, Blockchain technology has been spreading too faster in almost every sector because Blockchain has solved all the transparency issues and it is now one most trusted technology this twenty-first century. Securypto Blockchain is based on the PIVX that uses zPoS (Zerocoin protocol) which ensures user’s privacy using masternodes and staking principles. Securypto uses blockchain technology which makes an extra privacy layer on top of every securypto functions. It also added a rewording system in its paid content management. 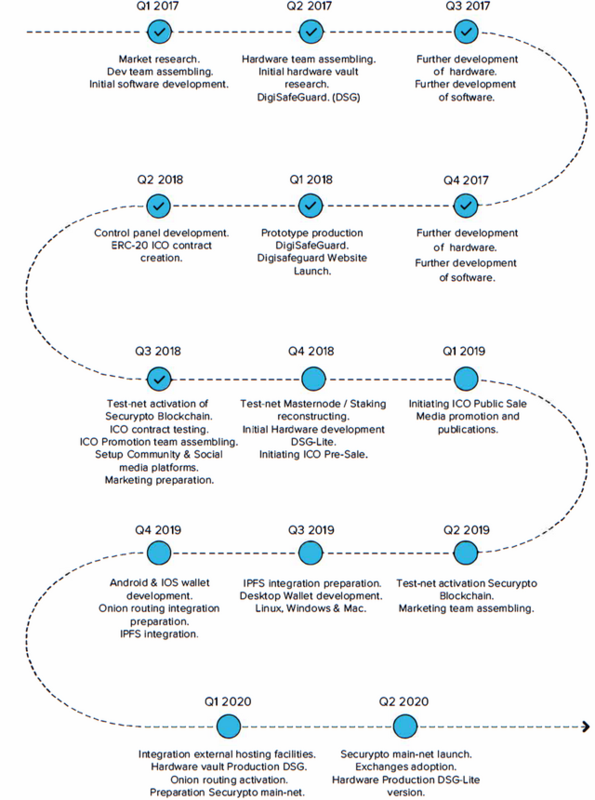 The distinctive characteristic of Securypto blockchain is it uses a proxy connecting masternode. Why is the Securypto using Blockchain technology? • Securypto uses blockchain technology to provide a transparent and trustworthy service to its users enabling them to have a secure place on the internet without any worry of privacy matters. • Securypto system uses “POS” which is blockchain based technology where every node will function as a gateway to hosting facilities. This way users using small devices such as a Smartphone won’t need to run any full nodes. Full Nodes are ideally a VPS server having a 99% uptime and fast connections. Nodes use their own internal or other external storages. 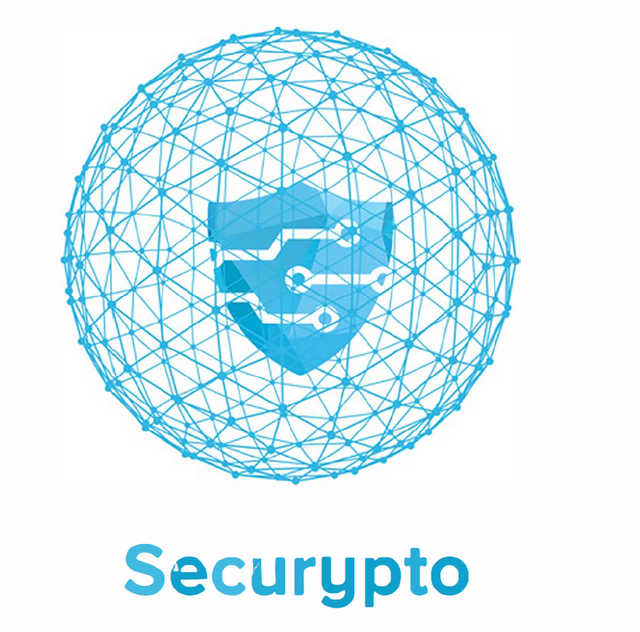 • Securypto blockchain connects proxy with the masternodes to provide the anonymous facility in the platform. • By using Blockchain in the securypto platform, Securypto has added an extra privacy layer on the top of all the features offered by the dedicated hardware (DSG) and the software. • On the other hand, Securypto arranged a rewording system called Paid Content-Management which enables the users to get rewarded for their uploaded content and the hosts to get paid for their hosting facilities. 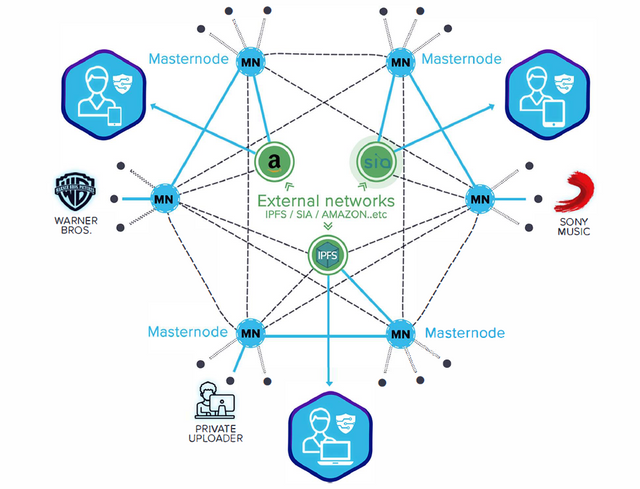 • In the paid content management with the blockchain technology, Masternodes get paid by the uploaders. Content uploaders can choose to get paid by the downloads. 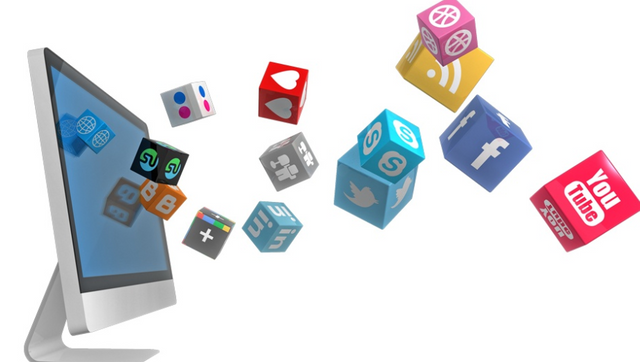 Therefore, an emerging market for uploading new content to the network will develop. Masternodes include the file location and receiver’s public key on to the blockchain using an onion-based protocol like TOR network. The Sender and the Receiver can exchange keys without compromising their privacy. Full anonymity is finally here. For all of these reasons, Securypto chooses Blockchain Technology. Why should you choose the Securypto? In this fourth industrial revolution, the Internet is keeping the most dominant contribution, as everything now on internet and internet has become mandatory to part on the revolution, So, Security on the internet is badly needed. Everyone should think about their data privacy and how much security they are in the place of the internet. Securypto always thinks about public privacy and want to make the internet a much safer place where people don’t need to think about their security and privacy while using the internet. Thinking all about the privacy concerns, Securypto comes to help the internet world. The advantages of securypto will make anyone feeling interested in securypto if they are concerned with internet security. Digisafeguard is dedicated hardware in Securypto which works with securypto software. 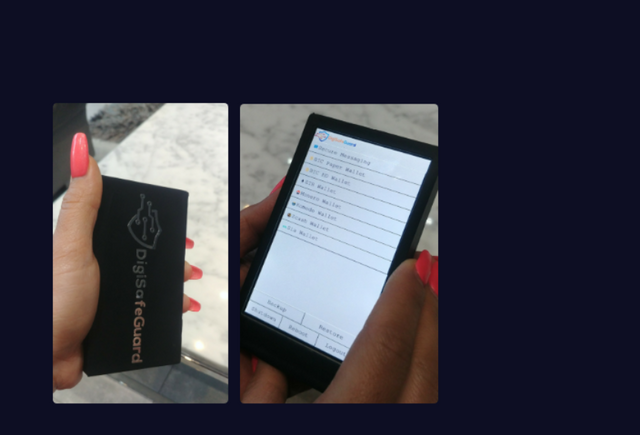 Users can Keep their accounts and login credentials protected and encrypted on their DigiSafeGuard device. Users can use the device (DigiSafeGuard) keyboard to enter the password phrase which is also secured, unlike any other smartphone or PC.DSG is an offline device, and hence, hackers can’t just gain access to a device that has no connection to the outside world. DSG has military grade cryptography based on AES encryption. There is no scope for any backdoor. Users Also can use any publicly available crypto software to decrypt their files and messages as we use well known and documented public AES encryption protocol. Users can create, import, export and verify their own RSA key. Two-factor authentication (2FA), often referred to as two-step verification, is a security process in which the user provides two authentication factors to verify they are who they say they are. Securypto uses 2FA verification to make a secure login. Users can log in securely to online services like Gmail, Facebook, Twitter, banks, etc. through DSG. 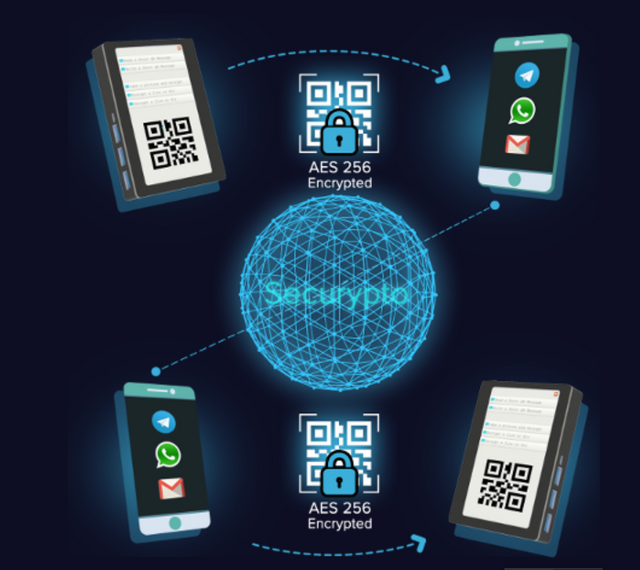 Securypto offers an anonymous encrypted messaging system where users can Securely send and receive messages and files using any open and insecure channel like WhatsApp, Telegram or email. Securypto also enables their users to enjoy anonymous encrypted file transfer facility. Securypto allows users to Encrypt any sensitive file or directory and keep them safe and secure thus it can be Easy to use for everyone, even if anyone doesn’t understand how encryption works. Users can use any insecure channel, even a compromised PC or Smartphone as every byte leaving DSG device will already be encrypted. Every day many people are losing their crypto assets due to privacy and security reason. Securypto allows users to store and spend your digital assets Securely. the DSG device will act as a hardware wallet. Users don’t need to trust any third-party, not even the Securypto team to secure their cryptocurrency assets, as they can use any widely available services to create the unsigned transaction for spending their cryptocurrencies and let the DigiSafeGuard sign the transaction. How does the Paid Content-Management Feature Work? • First, sender/uploader need to choose the paid-content option and receiver needs to pay the requested amount of coins before downloading. • Secondly, while downloading the larger files will be split and saved on different Hostnodes. This way nobody will host full data. • Third, Hostnodes need to have locked x-amount of coins as collateral. Setting up new Hostnodes is easy as everyone can start a Hostnode by merely renting a Linux VPS server and running the install script which downloads DSG Hostnode software from GitHub and installs it on the VPS. • Fourth, During the installation process, one can put his/her DSG address, external storage credentials if any, etc. One can set up 100’s of Hostnodes across the globe in less than a week and pay for the VPS’s yearly and forget about it, thus generating daily revenue. SCU is an ERC-20 token based on smart contracts. SCU is the utility token that will be functional in Securypto platform. SCU token is mandatory to transfer encrypted data anonymously on securypto blockchain platform and monetize content distribution. Upon switching from TestNet to MainNet, SCU tokens will be swapped for SCU coins on Securypto MainNet Blockchain. Total supply of SCU tokens is one hundred million (100,000,000).